Good morning!! It's been a while, things have been busy around here but I'm really trying to get back on track! 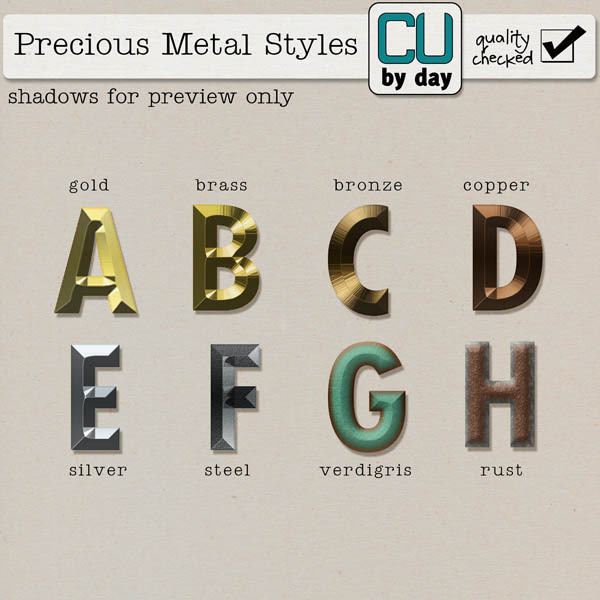 I have a set of awesome Precious Metal styles for you today. This is something I've been meaning to do for a while and I'm so pleased with how they turned out! You can get them right now in my store, as always, they're 25% off this weekend only!